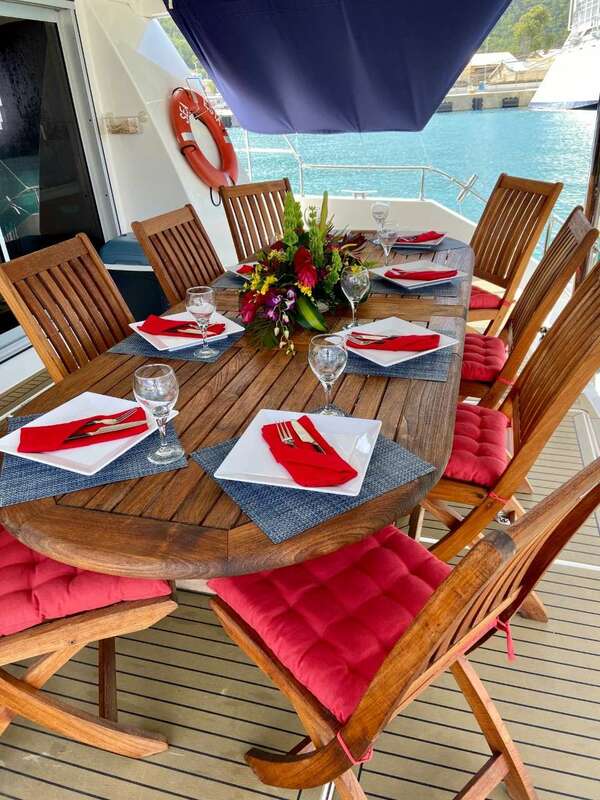 Sail crystal clear waters, snorkel coral reefs, enjoy the panoramic views or just relax at the end of the day. 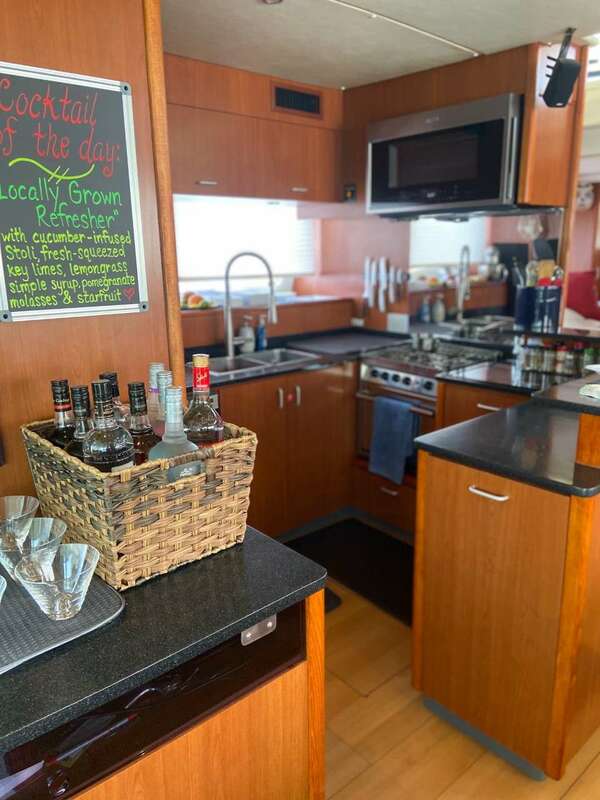 Sea Esta offers the best in large open decks and spaces for lounging, teak-style decking and a flybridge with seating for 10 that boasts an outdoor kitchen/grill/bar. 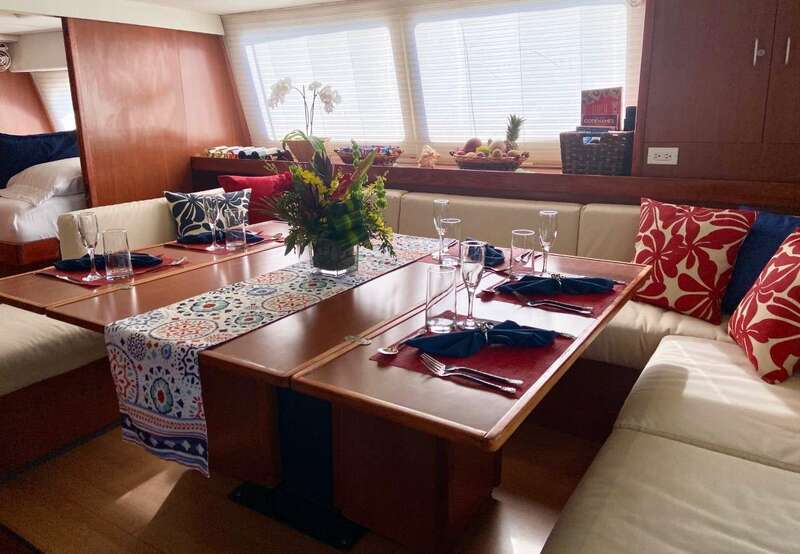 The split level style with 5 Guest Staterooms - 2 guest staterooms on the main deck with walk-out "balconies" to the huge forward covered cockpit and 3 private, en-suite guest staterooms on the lower level all offering air-conditioning, and everything you would need onboard to create sailing memories with family and friends. 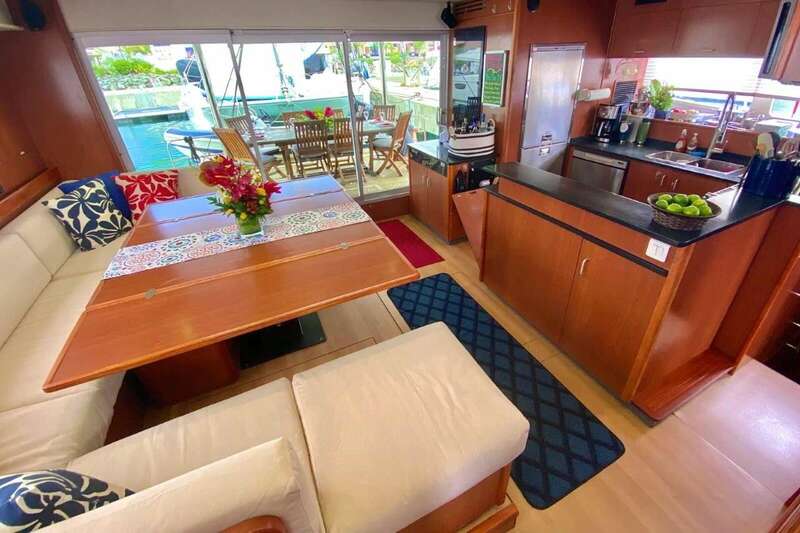 Tte salon features a large dining table with wrap-around seating and wet bar. 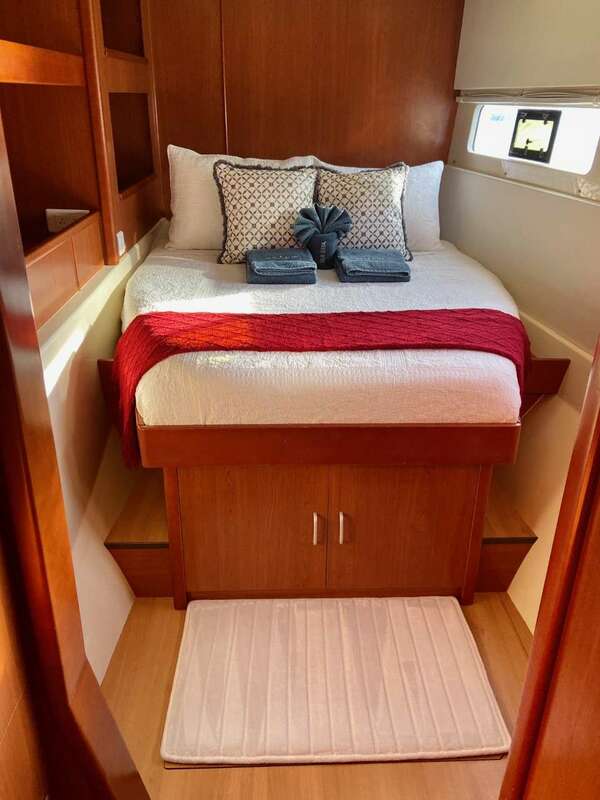 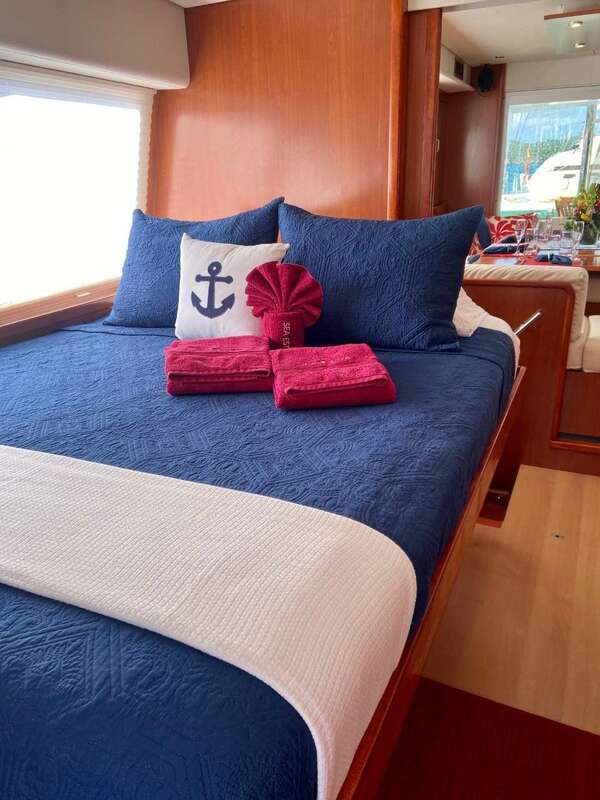 5 queen guest staterooms each with a private En-Suite head and stall showers. 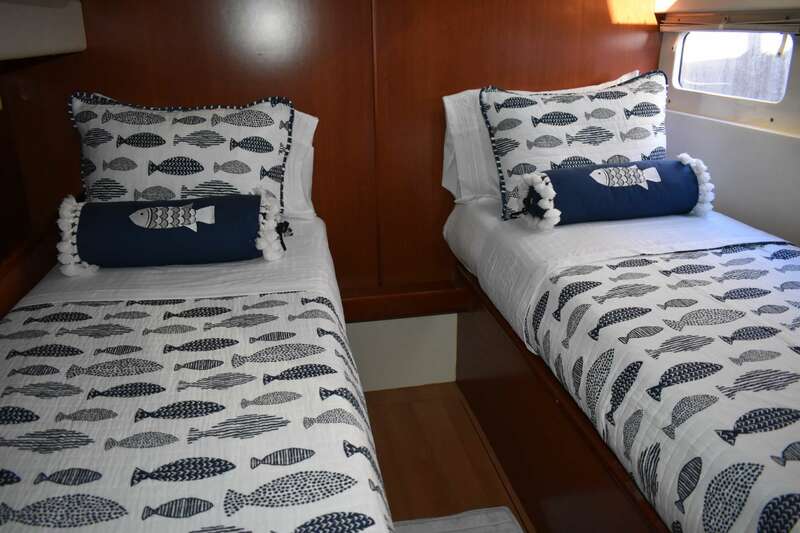 Memory foam mattress toppers and pillows made of Cooling Memory Foam fabric so you are always sleeping "On the Cool"
Crew cabin with 2 twin beds. 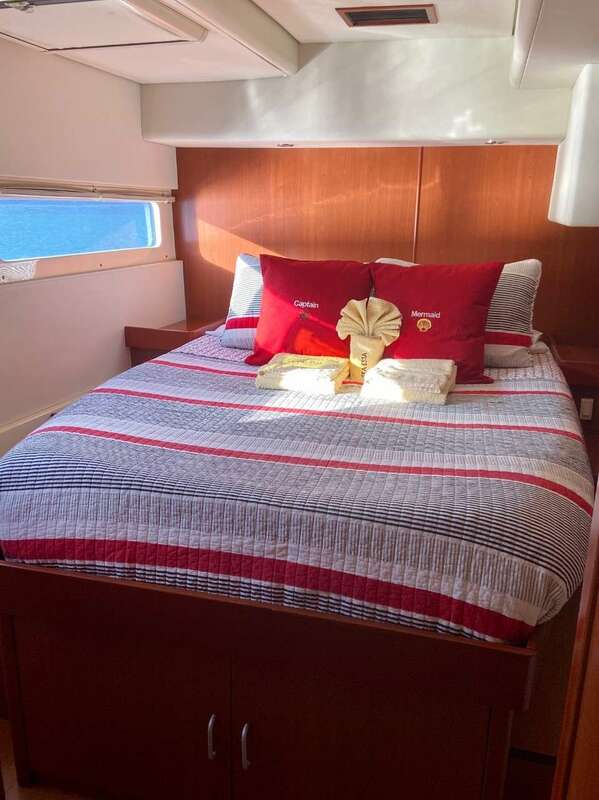 Crew can move to port forward queen cabin upon request.